Irdeto’s Global Gaming Survey confirmed what we’ve always suspected: cheaters ruin gaming for real gamers. But do the results also indicate that time is running out for publishers to get a grip before cheating becomes the norm? So far, coverage of the Irdeto Global Gaming Survey has understandably focused on eye-popping statistics like this: only 12% of adult gamers around the world have never felt negative impact from other players cheating. For game publishers who rely on in-game revenue, the big takeaway is surely that 77% of players are likely to quit a game for good if they feel opponents aren’t playing fair. Even those of us who had a pretty good idea that cheating was disruptive have been sobered by these figures. The message couldn’t be clearer: tackle cheating now or lose revenue. What really struck me was something deeper in the figures: the urgent need for action before cheating becomes completely normalized around the world. Players in China and South Korea were by far the most likely to say they’d been hit by cheating and felt most strongly that action should be taken to stop cheaters. Statistically, they were also much more likely to have resorted to cheating themselves. In China, where only 3% of gamers said they’d never been hit by cheating, a staggering 55% of gamers said they’d tried third-party cheating tools, and 21% said they use third-party tools always or often. In South Korea, just 6% had never been negatively impacted, while 88% wanted action against cheating and 43% admitted trying tools to gain an advantage. Compare those figures to the US, UK or German respondents in the tables below and you’ll see a clear correlation: the lower the perception of being impacted by cheating, the lower the chances that gamers will resort to cheating themselves. A vanishing window of opportunity? That type of correlation supports the familiar adage “if you can’t beat them, join them…” But the phrase “once a cheater, always a cheater” is equally familiar. If the trend shown in Asia continues, then publishers must act fast before gamers elsewhere become permanently habituated to cheating themselves. The implications of that would be catastrophic for both publishers and gamers alike. Thankfully, we are finally seeing the industry taking anti-cheat as seriously as anti-piracy. To succeed, they’ll need to put anti-cheat strategies at the heart of game design, alongside smart technologies for cheat detection, data encryption and behavioral analysis. Forward-thinking publishers are also embracing cyber-intelligence to monitor cheating chatter and disrupt sites that publicize third-party tools. If this survey’s an indication of things to come – and we’re pretty sure it is – then there’s no time to lose! 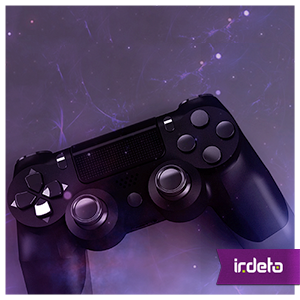 This entry was posted in Media & Entertainment and tagged anti-cheat, anti-piracy, cheating, Denuvo, Gaming, in-game revenue, Irdeto, Irdeto global gaming survey. Bookmark the permalink.